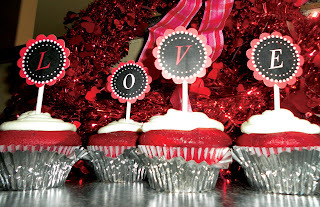 Mimi Marie Photography: We are giving you a reason to throw a Valentine's Day Bash! We are giving you a reason to throw a Valentine's Day Bash! We are "wild" about Valentine's Day and we hope that you are as well! 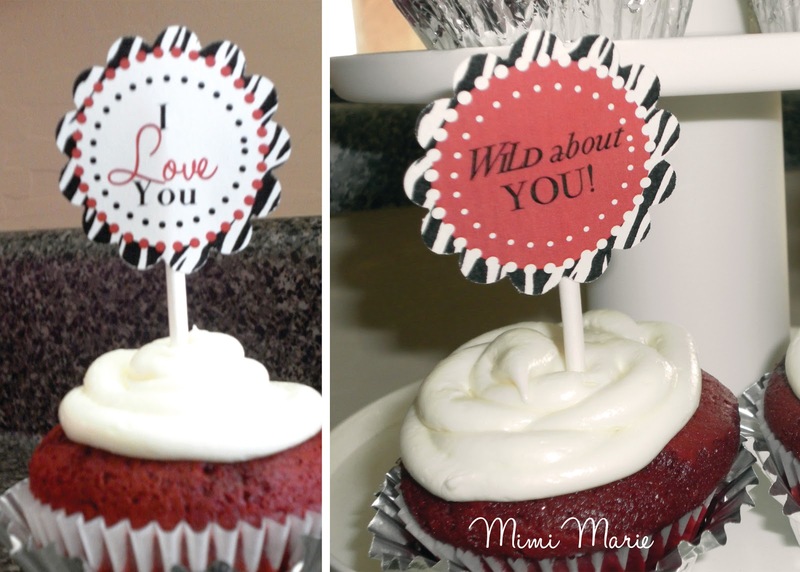 We decided to make "Wild about you" cupcake toppers so you can decorate for a party or just for fun! 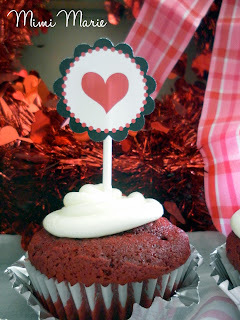 These DIY printable cupcake toppers are fun for all ages! 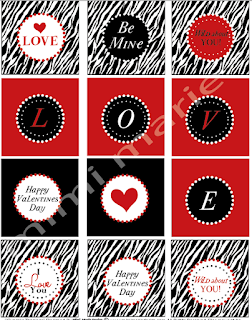 Throw a party and coordinate the black and red with your other goodies! These are for sale in our Etsy shop for ONLY $4.50! Have fun!